Spring is in the air! March madness is coming, and it will be full of fun. You can find so many activities to enjoy near your Durham, NC apartments. The biggest problem will be finding the space in your social calendar for getting out to all of them. 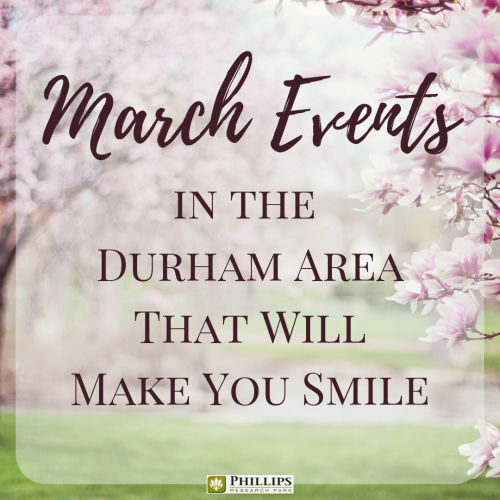 Whether you are looking to enjoy some fun family time or a crazy St. Patrick's Day parade, Durham is here to deliver during the month of March. If you have preschoolers, they will love the Sesame Street Live show that is coming to Durham! This interactive show features all of your favorite pals from the street including Elmo, Cookie Monster, and Big Bird. You can sing along and have a great time! Your little ones will be smiling from ear to ear when Super Grover begins to fly. After all the excitement of the show, your little tyke will be snoozing before you even get back to your Durham, NC apartment. Don't miss opening weekend of the soon to be blockbuster movie: Captain Marvel. Marvel fans new and old are chomping at the bit to see this newest installment of the franchise which marks the first time a female superhero has been given her own Marvel movie! Girl power will be felt in all the theaters in the city! Melanie's Fresh Pasta shop is offering a fun pasta making class! This 2-hour hands on class will teach you to make some fun traditional pastas, and the best part is you will get to eat them when you are done! You will also receive a free pasta making book. This is a fun class for adults and kids aged nine and up. Dear Evan Hansen, the Tony Award winning musical, will be opening on March 12th at the Durham Performing Arts Center. This modern musical has quickly become a beloved classic adored by audiences across the nation. Watch Evan get the thing he wants most: to fit in. Gather up the ladies because it is time for the Jeans and High Heels Girlfriends' Weekend! You can have a girls only relaxed weekend full of food, games, and fun. The weekend will include a sip & paint, karaoke, and a fun brunch. The event will take place at the Hilton Garden Inn in Durham and is geared for 30-somethings. Are you ready to feel the luck of the Irish? Raleigh's St Patrick's Day parade is your chance to break out your green and show your Irish pride. This will be the 37th year Raleigh has done this parade. Don't miss a March tradition! Get your walking shoes ready because it is time for the Durham Women’s Half Marathon. This family friendly event will take place at the Tobacco Campus. The top finisher will nab a $1,000 prize purse! Even if you aren't in it to win it, you are welcome. Runners and walkers can enjoy this day of physical activity just a short distance away from your Durham, NC apartments. Indulge your love of craft beer at the Asheville Comes East Beerfest. Tickets start at $10 for this event which will be held at the Golden Belt Taproom. Sample rare and special beers from breweries such as Asheville Brewing Co, BearWaters Brewing Company, Bhramari Brewing, Brevard Brewing Company, Burial Beer Co, Ginger's Revenge, Hillman Beer, Homeplace Beer Company, and many more. Your ticket will include two beer tokens, but more tokens can be purchased on site. Spend your Sunday afternoon chowing down at the Park's Food Truck Rodeo. This event is free to attend, but you will have to purchase your menu items. Dozens of trucks making all types of goodies will be in attendance. There will also be live music to round out the afternoon. Why worry about cooking dinner at your Durham, NC apartment when you can order it from a truck! As you can see, March is shaping up to be a stellar month! 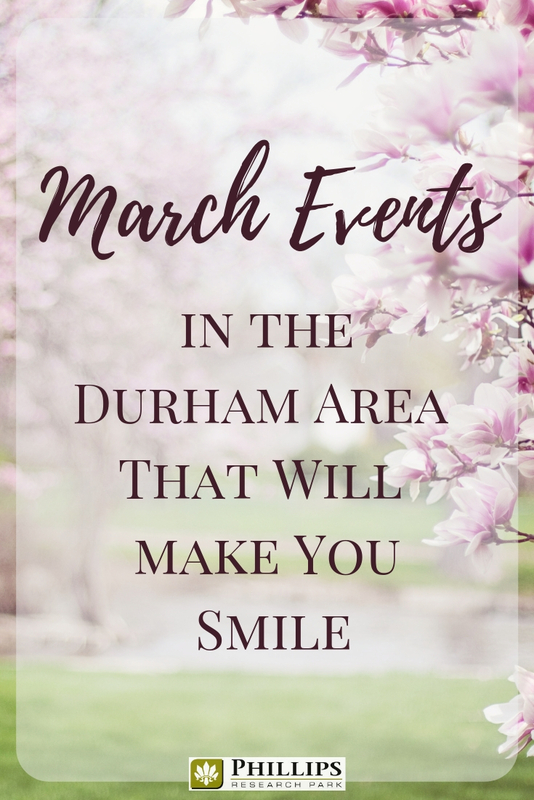 There are so many things to do in the greater Durham area, you will have to choose some priorities because you definitely won't be able to fit them all in! You may be so busy, you will barely see the inside of your Durham, NC apartment all month. What a wonderful way to kick off the Spring months, right? Get out there and have some fun. Looking for a fantastic Durham apartment to call your own? Stop by Phillips Research Park Apartmetns for a tour today!